We’ve got the experience and knowledge to get you in the right new computer for the right cost. Whether you’re going for a basic PC for Internet browsing and everyday use, or a high end gaming rig, we’ll help you through the intricacies of settling in to a new computer that will last. If you just want something straightforward without going through the process of a custom design, check out our tiered PC build options listed below! Sparrow – A baseline system which will perform nearly all generally needed tasks we ask of computers. All new hardware and loaded with your choice of Windows 7 or Windows 8.1. Falcon – As a step up from the Sparrow, this system is designed to operate at a higher level of performance. Ideal for casual gamers and end users who want snappier performance. The Eagle – When we put our name on it, you know it’s gonna be good! This system pushes the limits of performance and is designed towards anyone looking for a high-end rig. 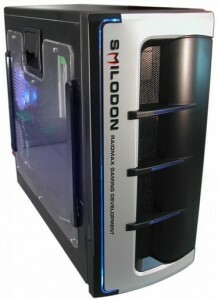 It is also a fantastic starting point for anyone looking to custom design their ultimate gaming PC.